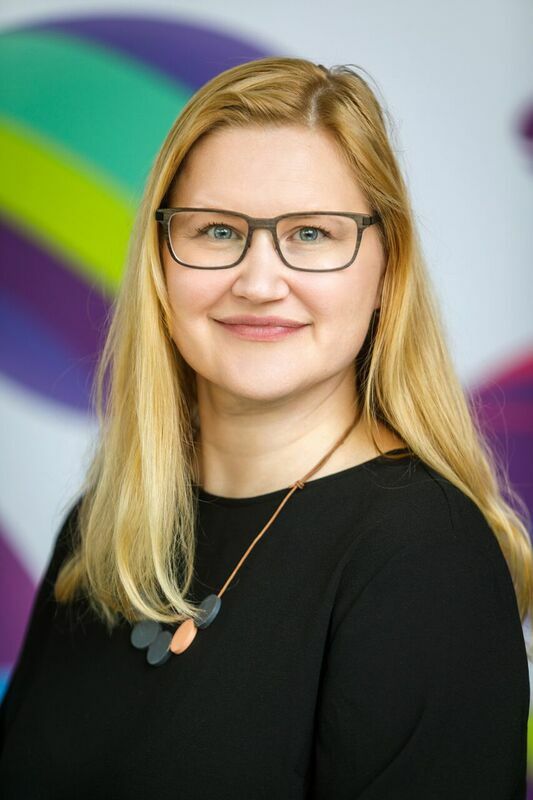 At the end of February we met the representatives of Telia Estonia to talk about the actions of a big tech-corporation in the field of diversity and inclusion. Heddy Ring, coordinator of the CSR strategy and Elo Võrk, manager of sponsorship gave their viewpoint on how diversity and inclusion are developed daily in Telia. Heddy and Elo shared their valuable experience working in a company with a variety of workers coming from different backgrounds. How has Telia organized its diversity and inclusion field? Who is responsible for that and what are the main subjects? Heddy: In Telia Company, we have a working group of diversity and inclusion that I led last year and am still part of. In this group, there are members from the HR, branding, communications and CSR fields. Strategical decisions are made on the board level. In every country there is one colleague who is responsible for the development of the diversity and inclusion section on local level. Main themes are the development of diversity and inclusion, guaranteeing equal possibilities and equal rights. So in Estonia there is a special worker responsible for the field? 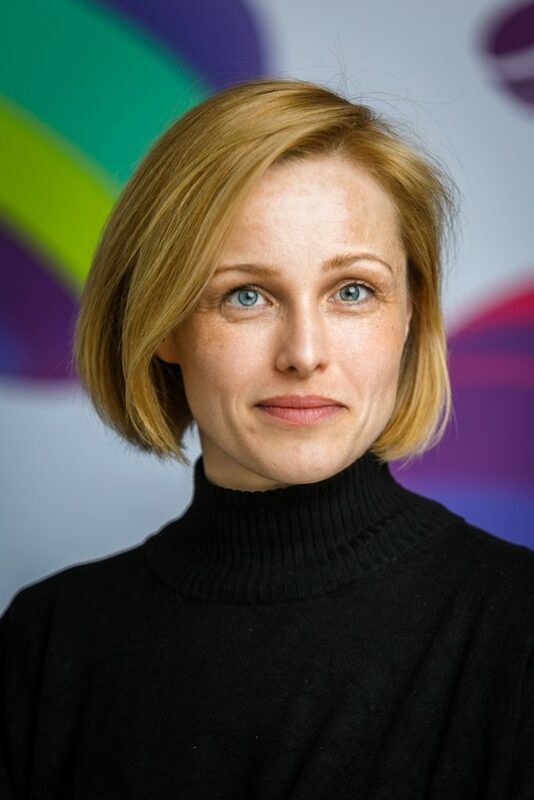 Heddy: Yes, in Telia Estonia, a member of our HR team works as the Diversity Manager, that is part of her tasks. Which goals have you set up in the context of diversity both in shorter and longer perspective? Heddy: Our aim is to create a diverse and inclusive organization. In that we are aiming at the wider perspective: we are talking about gender, nationality, age and other qualities. We honour the principles of equal treatment and we do not tolerate discrimination of any kind. Basically, we have three main subject or focuses. The first of which is rising awareness on diversity and related themes among our workers through trainings and internal communication. at this very moment, we are preparing a training to all of our workers and a separate one to our managers on diversity, inclusion and subconscious biases. Additionally, we are planning to train our team of HR and hirers so that they can support our managers and directors in hiring a diverse team. Secondly, it is important that all our processes would continuously support diversity and inclusion. This means that we do not wish to develop diversity and inclusion in the frames of a singular project but we work on these daily. These principles are integrated to our daily work processes: how we work and what our values are. We have revised our internal processes and how to integrate diversity and inclusion subjects into our hiring, evaluation and management and we continue to do so this year as well. And thirdly, we have different intiatives. In every country we have joined the Diversity Charts and we have our own internal networks in our company that bring together those workers who wish to give their part in working environment and who think that these subjects matter. We can bring good examples from our companies in Sweden, Norway and Lithuania where these network function smoothly and help to get these subjects across our workers. We plan to develop this kind of network here in Estonia as well. An important challenge in all Nordic and baltic countries is the fact that today, many girls don’t imagine a career in tech/IT-sector. So it is more difficult to achieve our aim – to enlarge the number of women working in IT/tech industries. In Estonia, we have started an initiative Telia Tech Girls together with DigiGirls team that enables girls to participate in lectures, workshops and seminars. To make the industry and techfield more interesting to girls, we have held tech-weeks in Tallinn and Narva, both in Estonian and Russian. Similar initiatives that introduce the world of technology to girls have been taken on in other Telia countries as well. Have you also included universities in that process? Heddy: Of course we collaborate with universities as well. But we have seen that youngsters decide their future majors already in high school and that is the reason behind choosing high schoolers for our target group. In Lithuania we have a project called Women in Tech that helps women who work in tech industry but in other positions, to move on to tech-field. Women who show interest for that, are having mentors and possibility to pass courses so that they could change their field and train themselves in technological subjects. In Estonia, we are targetting youngsters who have not yet decided on their university studies and major. Could you bring any examples from your own company on diversity? How does inclusion actually look like in Telia? Heddy: One good example is gender balance: today we have the best gender balance among our workers in Telia Estonia, compared to other Telia enterprises. We have the highest number of women, including top specialists and managers. We have worked a lot to reach this point and we are very glad. We observe hiring, gender and age balance among our workers and managers quarterly. Concerning age, there is a tendency of more younger people working in tech-sector. But in Telia, we have workers whose age fells between 19-71, the longest work experience being 51 years! In internal communication we speak about our good examples, we produce videos and do interviews with female workers as well as with workers from different nationalities or age groups. Telia is quite big company – how do you feel the positive aspects diversity has brought to your company? Has it effected positively your innovation, has it brought specialized knowledge or anything else? Heddy: We believe that diversity and inclusive teams lifts the commitment and motivation of our workers, as well as overall innovation. It helps us to better understand our clients. To answer their hopes we need to have a variety of workers with different backgrounds and experiences. the more we can reflect their needs inside our company, the better. We are glad that we have such an innovative company and diversity have played a big role in achieving that. We see that in order to find better solutions to different tasks and situations, we need to have people with different background and qualities in team. The more different solutions are found, the better products and services we can offer. Elo: There’s been a lot of talk about how diverse teams are more successful. We have diversity on management level as well: there are people from different nationalities, people who have lived in another country for a longer period, both women and men from different age groups in our board. Thanks to diversity on management level, the decisions are more thought through as different opinions are included. The more diverse we are, the more successful and innovative our work result is. In Telia, it is favoured not to have very similar people in one tema. It is convenient and easy to make decisions in that way, but as the whole group hold similar views, there is no progressive discussion that could open up new possibilities. Progress and innovation arise from the simultaneous existence of different views. Heddy: Diversity is a field that does not get ready one day. We have to work on it consistently and to deal with in on content level. In a company with high diversity, it is important to work on inclusion. It is always easier to include someone who is similar to you. But, the more there are differencies, the more each one of us has to work to understand each other and to develop as a team. It is a long process. But we have seen that if you work with it every day, it brings advantage and better results to our company in general. Why did you decide to join the Diversity Charter and are also thinking about applying for the Diversity label? Heddy: On one hand, we want to show our support to diversity and to the related subjects in our society. On the other hand – and we have learned that by being part of the Charter – we can les practices and to exchange thoughts and experience. It surely offers an extra value to all the members. Have you thought about celebration of the Diversity Day yet? Elo: Yes, we do have some plans. We definetely want to support with our own communication, to include our channels. We will make an overview on how different our workers are, we are planning to do interviews and to speak stories about our exiting colleagues. Offering different cuisines in our canteen is also a nice idea. Heddy: And before that, on 8 March, the international Women’s Day, we organized a technology day for girls and women. It was held in all Telia countries parallelly and on that day, every specialist, expert, or manager could invite a girl of 14-18 years to job shadow her. The girls could experience their work day and it was followed by a collective lunch where our HR manager introduced women’s possibilities in tech-sector. And this was followed by a discussion on gender roles and women’s possibilties in job market. We have read different studies and according to the studies, one key factor in choosing an IT/tech major is whether there are female role models in this field or not. So, do the girls have some women to look up to and who inspire them. We encouraged espacially our women working in IT and tech positions to participate and invite a job shadow. We believe that this supports, together with our Telia Tech Girls project, our mission of bringing more women into tech-industry.